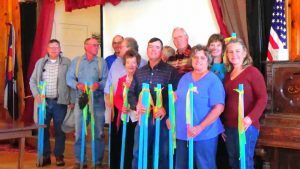 LPWWA – La Plata West Water Authority – I'm on Tap are You? I'm on Tap are You? · We are in the process of getting our books and office in order for taking on water customers and billings. · We are writing RFP’s for the positions of Manager and/or Bookkeeper. · A RFP for a procurement audit of Phase 0 is in the process of being prepared. · Phase 1 construction will start back up when the snow lets up. · Phase 0 is in the final close out stages for completion of the project. The Phase 1 construction has been suspended due to the Government Shutdown. Our funding source, USDA who approves & supplies all funds to pay our contractors is a Federal entity, and is currently furloughed. Let’s hope things get resolved soon. WOW– what a year 2018 has been, the Phase 0 pumping station project is within weeks of completion and we are putting water lines in the ground under the Phase 1 project. This could not have happened without the support of our community. At this point the Board is meeting a couple of times of month to stay on top of the projects finishing up and as always, we are continuing to look forward at the future direction of the water line. 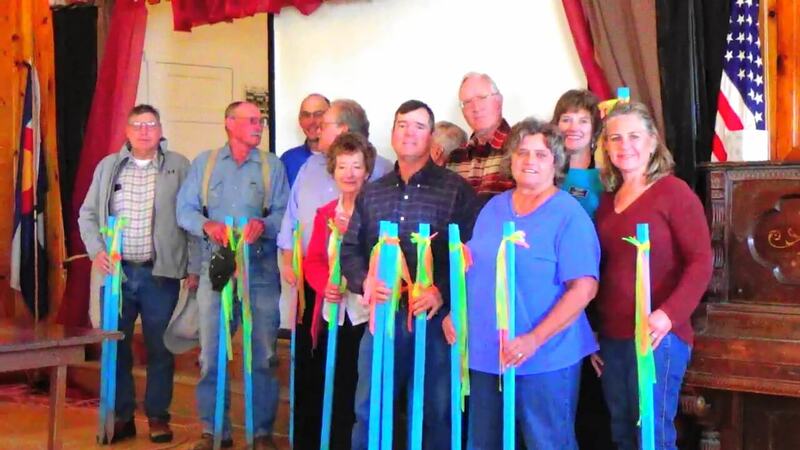 If you are interested in getting involved your help will be greatly appreciated, please contact us, any Board member or at lpwwa.org and (970)403-5790. 2019 budget was adopted and 2018 audit engagement letter was approved. 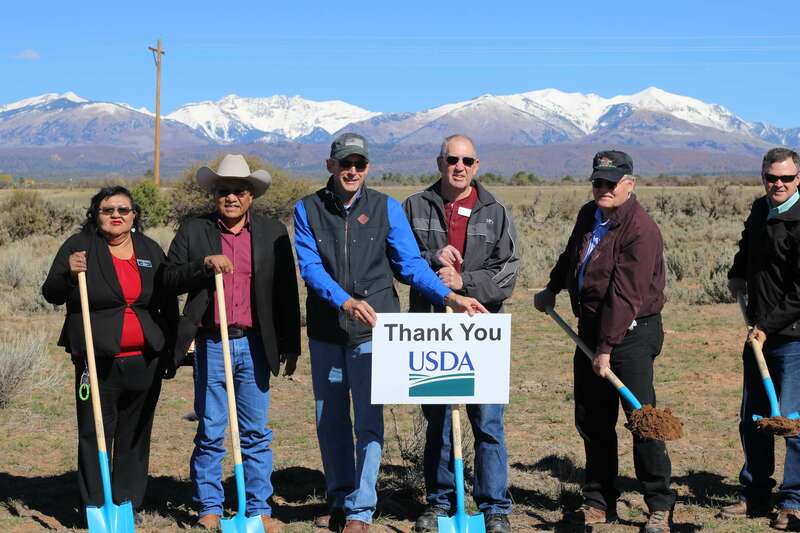 La Plata West Water Authority has joined the Colorado Rural Water Association which will help keep us updated with training and current water issues. There will be no construction on pipeline until Jan. 7 when it will start up again weather permitting. HAVE A WONDERFUL HOLIDAY SEASON WITH AN EXCITING 2019 TO ALL! Phase 1 page on website has been updated to include progress maps. We plan to update these every couple weeks. The dates shown on the map will give you an idea of how much progress has been made between dates and give you some sense of when you might see the pipe coming by you. Click here to go to Phase 1 page. If you have a reserve subscription and plan to upgrade to Primary Subscription be sure you have upgraded before we get to you. 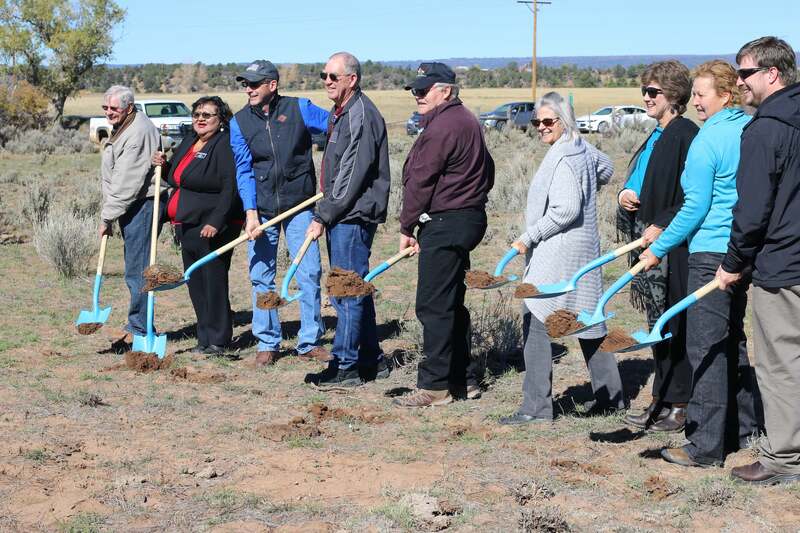 LPWWA PHASE 1 GROUND BREAKING CEREMONY— EVERYONE IN GOOD SPIRITS! A very joyful group of 40 people were at the ground-breaking ceremony that was held on Friday, Oct 19, 2018 at the Breen Community Building and Kikel Family Ranch. Roy Horvath was the moderator for the ceremony and gave an overview of the project. Mardi Gebhardt gave an overview of the funding sources. See details of the funding on Phase 1 page here. Representatives from USDA, TBK Bank, ALPWCD, LPWCD, family members of Kikel Ranch and Ute Mountain Ute Tribe each spoke. Mark Wing of the UMUT giving the opening and closing blessing. We are very grateful for their participation in our ceremony! It has been 11 years since the formation of LPWWA so it has been a long persistent process by many different agencies and individual LPWWA board members over these many years. CELEBRATION TIME! Save the date of Saturday, November 17th, 2018 from 11:00 AM TO 3:00 PM for a Open House/construction party. More detail will be forth coming in the next couple weeks. Board meeting are held the 2nd Wed. of each month at the Fort Lewis Mesa Fire Department Station 3 by Hesperus at 6:30 pm.